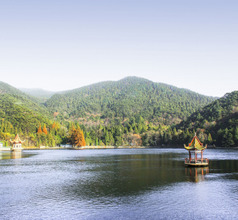 In the Jiangxi Province in central China lies the magnificent Lu Shan or Mount Lu which is a UNESCO World Heritage Site. It is endowed with both natural beauty as well as man-made historical and religious sites with splendid architecture. 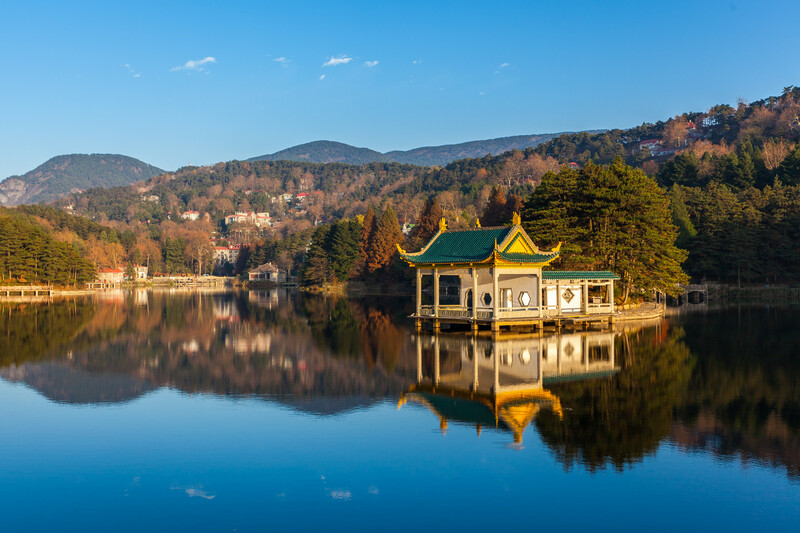 The region’s cool and pleasant climate and its numerous attractions have made Lu Shan and its surrounding cities and towns very popular tourist destinations over the years. It is also very popular with the Communist Party members who have taken a much-needed break from the pressures of work in the Lu Shan resorts. 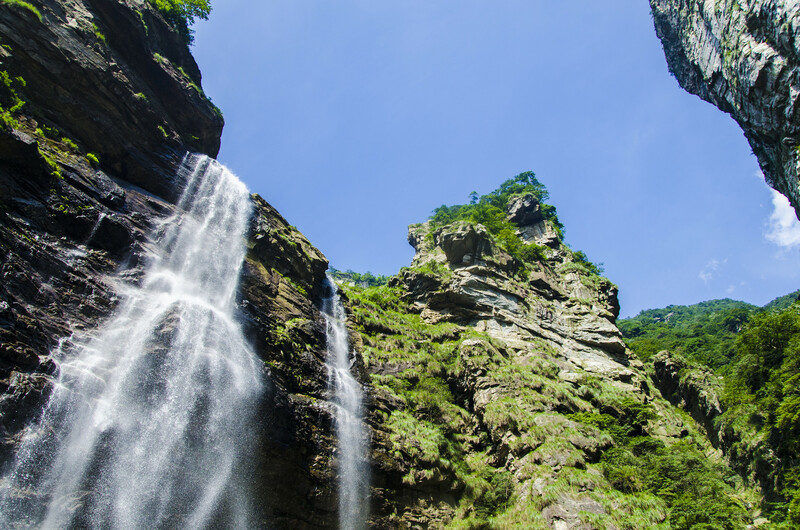 Lu Shan has the distinction of having a record number of tourist attractions in the central part of China. It has more than 419 attractions which include colorful karst rock formation, spectacular caves, ancient grottoes, deep valleys, streams, waterfalls, high-elevation lakes, pools, ponds, dense virgin forests, and more. Among the ancient relics, the 300 stone stellae and 900 cliff inscriptions are awesome. On the other hand, the tourism and hospitality sectors in the towns around Lu Shan have developed rapidly in the last couple of decades. This is due to the increasing number of inbound tourists that visit the area from different parts of the world, especially in the summer season. The choice of hotels in Lu Shan is limited and many of them accept only Chinese guests because their staff does not speak any other language. 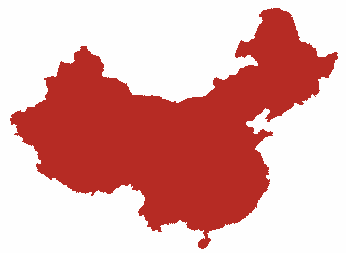 But there are various holiday resorts, luxury hotels, and budget hotels in the surrounding areas, especially in the Yongxiu, Wuning, De'an, and Xunyuang Counties. There are a few youth hostels as well for backpackers and solo travelers. 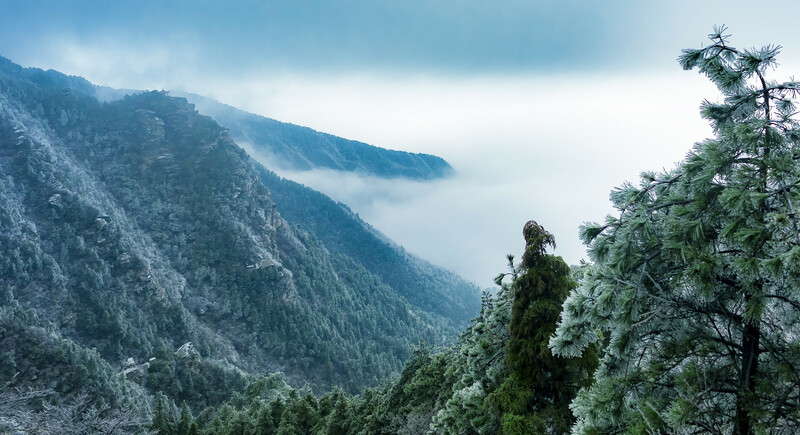 The highest peak in the Lu Shan range is the Dahanyang Peak which is at an elevation of about 1,500 meters above sea level. The region has been a summer holiday resort since ancient times when Chinese and overseas visitors to the country stayed in Lu Shan area to escape the heat. 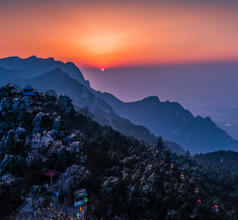 The Five Old Men’s Peak is another mountain peak on Lu Shan that is not only a picturesque sight from afar but is also beautiful at close range. The Three Step Waterfall (Sandiequan) is another fantastic attraction on Mount Lu. It is so called because the water cascades over three naturally-formed glacial terraces before it reaches the pool below. 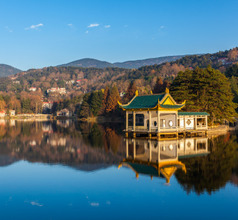 The Western-style villas on Guling Jie (street), Ruting Lake, and the nearby botanical gardens are also must-sees while in the area. The hike that takes one up the steep slopes and a suspension bridge can be very tiring. 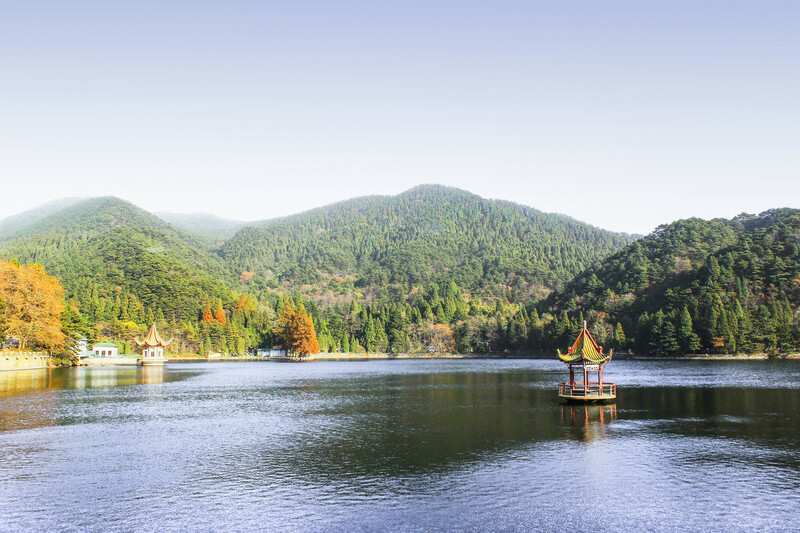 But there are mini-buses and chairlift services available for tourists who wish to explore Lu Shan’s beauty without walking up. 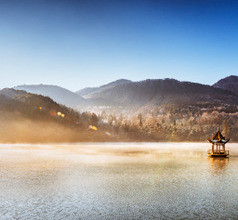 To get the best panoramic view of the entire landscape of Lu Shan and to get the best pictures one must visit the Hanpo Pavilion. 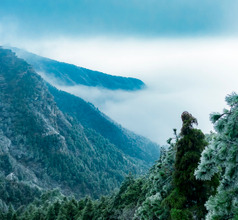 The Poyang Lake glistening across the mountain, the valleys, gorges, streams, and cloud-covered peaks are a heavenly sight. 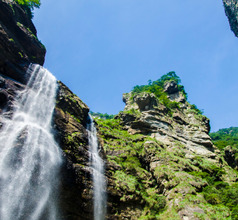 Other tourist attractions include the Xianren Cave, Ninety-Nine Rounds, Lushan Clouds, Bailu Cave, Heaven Pool, Fairy Cave, Sandie Spring Waterfall, Jin Xiugu Cave, and others. Also called Gan cuisine, Jiangxi cuisine can be characterized by mild aromas, mild flavoring agents, and crisp ingredients. Although the hotels have in-house restaurants serving International fare, trying out the local specialties will be a real treat. The common ingredients are vegetables, sausages, banana roots, lotus roots, bean curd, sticky rice, pork, etc. They also have a classic array of Gan-style snacks. Some of the local specialties include Nanchang rice flour noodles, Wuyuan steamed tofu, three cup chicken, steamed pork with sticky rice, Anfu ham, etc. But the signature dish of the Lu Shan region is the exotic (and expensive) Lushan San Shi also known as Lushan Three Stones. This dish consists of Lushan Stone Chicken, Lushan Stone mushroom, and Lushan Stone fish. These three dishes consist of some rare herbs and ingredients that are available only on Mount Lu.